Having trouble meditating, or remembering your dreams, or just feeling lost and disconnected from the Source? The problem may be a blocked (or calcified) pineal gland. The pineal gland, referred to as the Third Eye, the Eye of Horus or the Seat of the Soul, is a small pine cone shaped organ inside your brain that secretes hormones like melatonin, serotonin and DMT (Dimethyltryptamine), also known as the Spirit Molecule. Melatonin and serotonin are responsible for sleep or meditative states, and emotional states of well-being, bliss and euphoria. DMT effects range from time dilation, time travel, journeys to paranormal realms to encounters with spiritual beings from other dimensions. On the energy level, the pineal gland is the physical manifestation of the 6th Chakra – Ajna, associated with true mystic potential, perception of non-physical reality and spiritual wisdom. Because of its pine cone shape, the pineal gland is often symbolized by a pine cone. In fact, many religions and mystical traditions around the world reference the pineal gland through the pine cone symbolism: the staff of the Egyptian god Osiris has two intertwining cobras meeting at the pine cone (Kundalini energy rising up to the Third Eye), the Pope’s staff also features a cone, sacred ruins of Angkor Wat in Cambodia are also pine cone shaped, and numerous other examples. 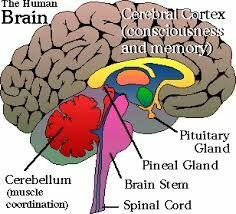 What causes the blockage of the pineal gland? This organ is your spiritual vision apparatus, your bridge between two worlds – physical and metaphysical. It allows you to have mystical and lucid dream experiences that are essential to your spiritual evolution. They are the messages from the Soul, and the pineal gland is the antenna designed to receive them. Yet most people’s pineal gland is shut down by the time they’re 12 years old. You probably noticed it yourself – kids are all intuitive and spiritual by nature, but we loose these abilities when we grow up. Why? The problem is the calcification of the pineal gland. This gland actually has a water-filled interior, which means that it calcifies with age, and for other reasons. What specifically causes the calcification? Fluoride is the greatest enemy of your pineal gland! It’s harmless in very small quantities – in fact, it occurs naturally in water. However, fluoride in our tap water and toothpaste is not at all a naturally occurring fluoride, and the amounts of it far exceed the safety limits. 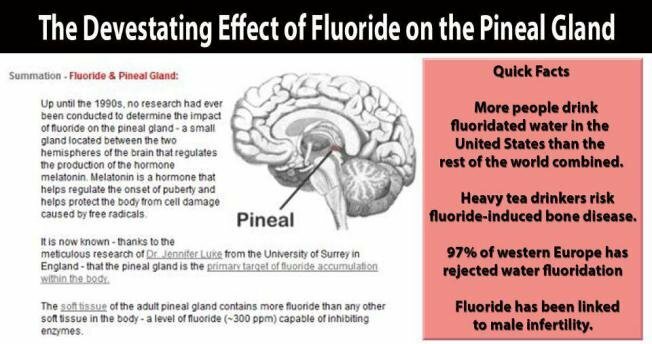 The pineal gland accumulates fluoride, so it has the highest concentration of fluoride in the human body, and that is the primary cause of the pineal gland calcification. 70 percent of US water supply is fluoridated. We’ve been told that fluoride is safe and that it prevents tooth decay, but it’s a lie. Research shows that there is no difference between fluoride-using and no fluoride-using countries. And as for safety…each year over 20,000 calls are made to Poison Control Centers in the U.S. due to acute fluoride toxicity from ingesting toothpaste. This is why a warning is required on all fluoride toothpaste tubes to avoid accidental swallowing: it’s a known poison. In fact, until recently fluoride was an active ingredient in rat poison. I’m not going to go into the reasons why the US government (and some other countries) in its infinite wisdom decided to put fluoride in our water, food and toothpaste – make your own conclusions. But whether or not you believe it, the fact is: fluoride is poisonous, and it shuts down our most important spiritual organ. If you’re interested, the documentary “DMT: The Spirit Molecule” explains why people having spiritual experiences might not be good for the ruling class. So the number one thing you can do to activate your pineal gland is reduce your intake of fluoride. • A lot of fluoride is absorbed through the skin when taking a shower or a bath. I know some people like taking a long shower or a nice long relaxing bath, in which case I recommend installing a fluoride filter in your bathroom. Otherwise, try rinsing your body and turning the faucet off, then lathering up, and then rinsing the soap off at the end. This way you’re conserving the water and minimizing your fluoride absorption. • Avoid calcium supplementation as it is not absorbed into the bones and just ends up clogging your organs, including the pineal gland. Cleansing is another important step in activating your pineal gland. This is to remove fluoride that’s already accumulated in your body over the years. •Tamarind fruit or paste. I attended a spiritual retreat not long ago, and I heard someone saying that tamarind paste is the best way to decalcify the pineal gland. So when I came back, I researched it. Turns out, it’s true. Recent studies show that tamarind is highly effective in removing body fluoride through excretion of urine, and even in mobilizing deposited fluoride from bone. •Borax (boron) supplement is another known antidote to fluoride. A teaspoon of borax in one liter of water can be taken in small quantities throughout the day. •Liver cleanses are crucial to our physical and spiritual well being. A good liver cleanse can remove heavy metals and numerous toxins from our body, including fluoride. The one I recommend is a coffee enema or a coffee colonic. Of course, those should be done only after cleansing your colon, otherwise the toxins will get stuck, and then re-absorbed into the blood. •Sauna or a sweat lodge ceremony are great for removing fluoride and other toxins from the skin as it’s excreted in the sweat. Wipe your body of the sweat often to prevent re-absorption and drink lots of water. Hydration is crucial if you consider this method! The third step in activating your pineal gland is spiritual practice. Some argue that this is the most crucial step. While it’s important to change your diet and maintain a healthy body, nothing substitutes a daily spiritual practice that allows for the healing to occur naturally, trains the mind to be still, and prepares you to experience higher states of consciousness. •Meditate, Meditate, Meditate. There’s a number of meditations you can practice to target your pineal gland, for example, meditating with the word “Love”. Sit with your back straight, your eyes closed and your tongue between your teeth. Gently bite the tip of your tongue. Vibrate the word “love” through your teeth as you purse your lips. 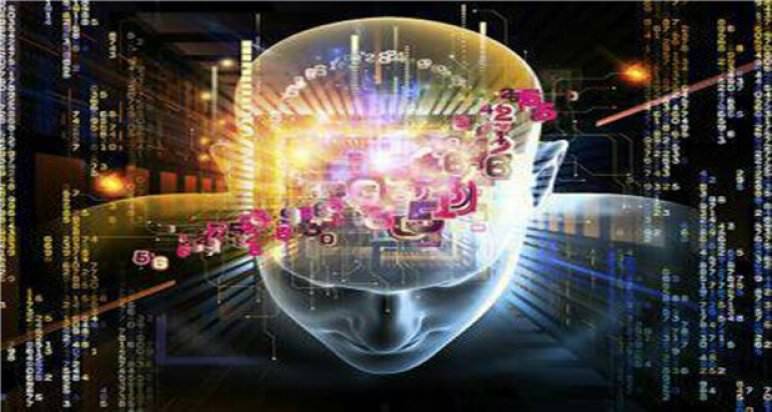 •Breathing through your Third Eye is another technique you can employ to activate your pineal gland. Breathe in the brilliant silver light through your Third Eye, hold it, then visualize it surrounding your pineal gland. See it vibrating with that silver light, see that calcified shell breaking and deteriorating, see your pineal gland shine as luminous light is breaking through the barrier of calcium. Practice for about 15-20 minutes a day. •Simply placing your awareness in your Third Eye is effective in stimulating the pineal. When you do it, you’ll notice a feeling of slight pressure in your forehead area, which is a good sign. Just hold your attention there and be mindful of your body and mind. •The pineal gland can also be activated by Kundalini yoga which works with your Kundalini energy symbolized by the serpent. Kundalini can rise from the root chakra at the base of your spine all the way to the crown chakra and beyond. The idea behind Kundalini yoga and meditation is to create a gradual energy buildup that would activate your chakras one by one naturally. •You can utilize gemstones and crystals. Gems that work with the Third Eye chakra are deep blue stones like lapis lazuli, sapphire or sodalite. Communicate with the stone. Ask it to help you awaken and heal your pineal gland. You can hold the stone during a meditation or place it on your forehead to increase the effect. Eden Shetiyah is a freelance writer and editor from San Diego, California. She’s been reading ever since she learnt the alphabet. Reading led her to writing. Writing led to more reading, and to the realization that there’s nothing more magical or more difficult than writing. Eden specializes in UFO-related topics and spiritual psychology. She is also interested in metaphysics, Goddess spirituality, death and NDE, mystical or religious experiences, shamanic studies, ancient civilizations, alchemy and magic, healing and alternative cultural narratives. She is a published author of short stories and a contributor to a number of online publications.